Dr. Berger is a Board Certified Plastic Surgeon with an M.D. from State University of New York/Health Science Center at Brooklyn, New York, and a B.A. from Yeshiva University. 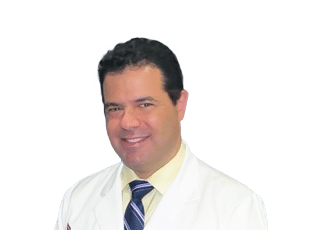 He completed his Residency in Plastic & Reconstructive Surgery at Albert Einstein College of Medicine, and his Residency in General Surgery at both Albert Einstein and Beth Israel Medical Center in New York. American Society of Plastic Surgeons, The American Society for Aesthetic Plastic Surgery, American College of Surgeons, Northeastern Society of Plastic Surgeons, New York Regional Society of Plastic Surgeons, American Medical Association, Medical Society of the State of New York, New York County Medical Society, New York State Police Troopers Association, and New York Law Enforcement Foundation. Awarded Honorary Police Surgeon by the New York City Police Department, and recipient of the Norman E. Stollar Award from Beth Israel Medical Center, Dr. Berger is a well-respected member of the NY medical community. Dr. Berger is active in Shalva – The association for mentally physically challenged children in Israel. He is married with four children and enjoys both domestic and international travel.